WUZHEN, China — A computer defeated China's top player of the ancient board game go on Tuesday, earning praise that it might have finally surpassed human abilities in one of the last games machines have yet to dominate. 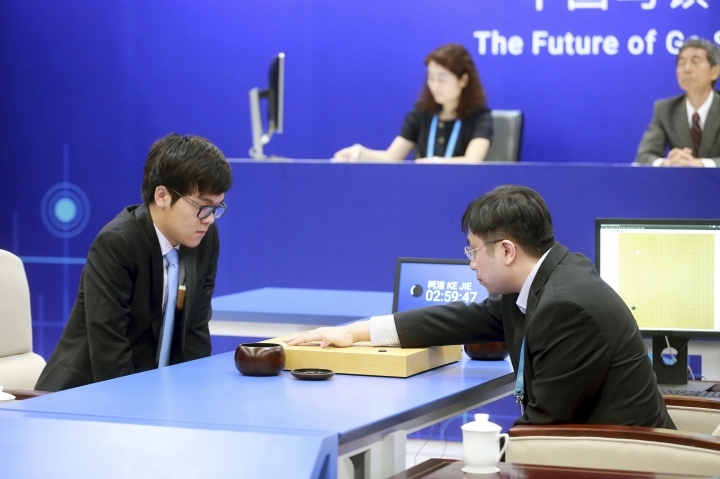 Google's AlphaGo won the first of three planned games this week against Ke Jie, a 19-year-old prodigy, in this town west of Shanghai. The computer will also face other top-ranked Chinese players during the five-day event. AlphaGo beat Ke by a half-point, "the closest margin possible," according to Demis Hassabis, founder of DeepMind, the Google-owned company in London that developed AlphaGo. 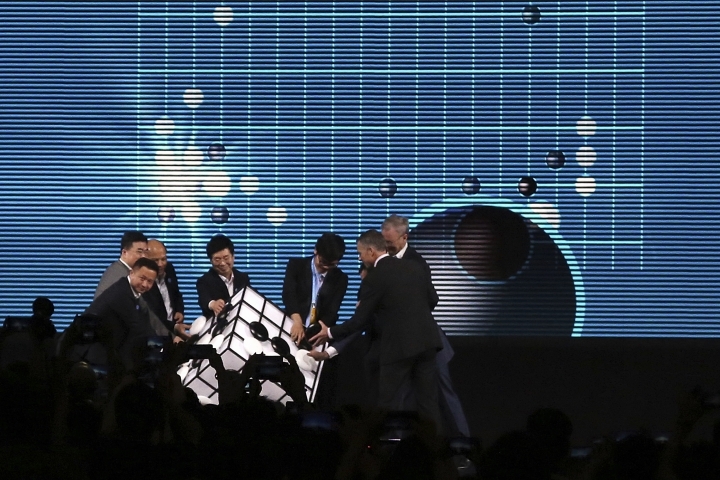 AlphaGo has improved markedly since it defeated South Korea's top competitor last year and is a "completely different player," Ke told reporters. "For the first time, AlphaGo was quite human-like," Ke said. "In the past it had some weaknesses. But now I feel its understanding of go and the judgment of the game is beyond our ability." Go players take turns putting white or black stones on a rectangular grid with 361 intersections, trying to capture territory and each other's pieces by surrounding them. Competitors play until both agree there are no more places to put stones or one quits. The game, which originated in China more than 25 centuries ago, has avoided mastery by computers even as they surpassed humans in most other games. They conquered chess in 1997 when IBM Corp.'s Deep Blue system defeated champion Garry Kasparov. Go, known as weiqi in China and baduk in Korea, is considered more challenging because the near-infinite number of possible positions requires intuition and flexibility. Players had expected it to be at least another decade before computers could beat the best humans due to go's complexity and reliance on intuition, but AlphaGo surprised them in 2015 by beating a European champion. Last year, it defeated South Korea's Lee Sedol. AlphaGo was designed to mimic such intuition in tackling complex tasks. Google officials say they want to apply those technologies to areas such as smartphone assistants and solving real-world problems. AlphaGo defeated Lee in four out of five games during a weeklong match in March 2016. Lee lost the first three games, then won the fourth, after which he said he took advantages of weaknesses including AlphaGo's poor response to surprises. Following Lee's surprise victory, "we went back to try and improve the architecture and the system," said Hassabis. "We believe we have fixed that knowledge gap but of course there could be many other new areas that it doesn't know and that we don't know either." Go is hugely popular in Asia, with tens of millions of players in China, Japan and the Koreas. 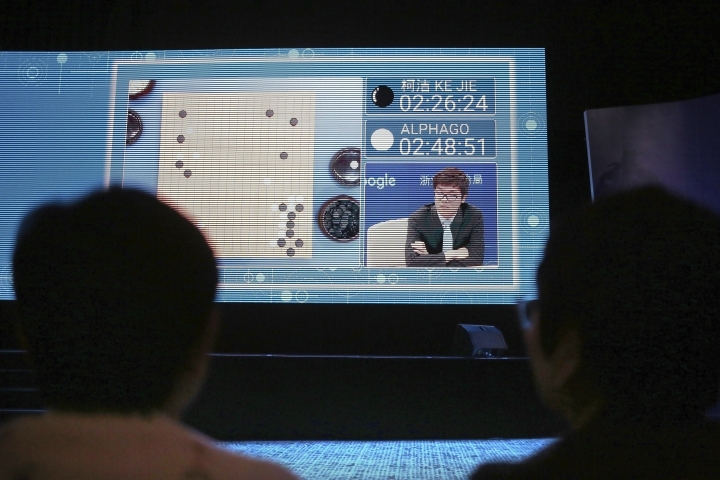 Google said a broadcast of Lee's 2016 match with AlphaGo was watched by an estimated 280 million people. Players have said AlphaGo enjoys some advantages because it doesn't get tired or emotionally rattled, two critical aspects of the mentally intense game. AP video journalist Peng Peng contributed to this report.